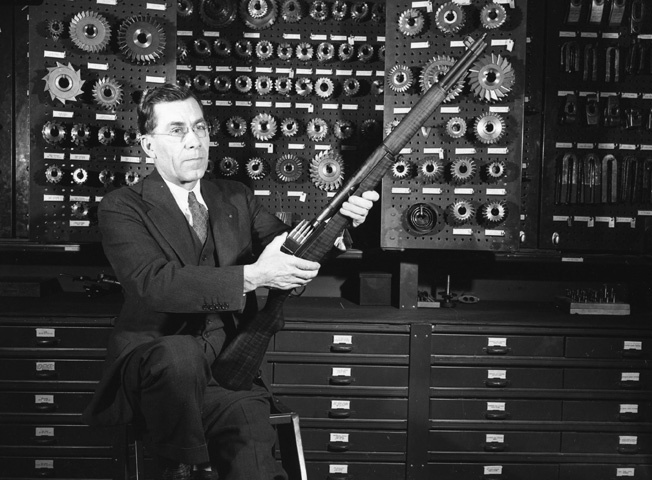 The M-1 rifle proved to be one of the great firearms of World War II. 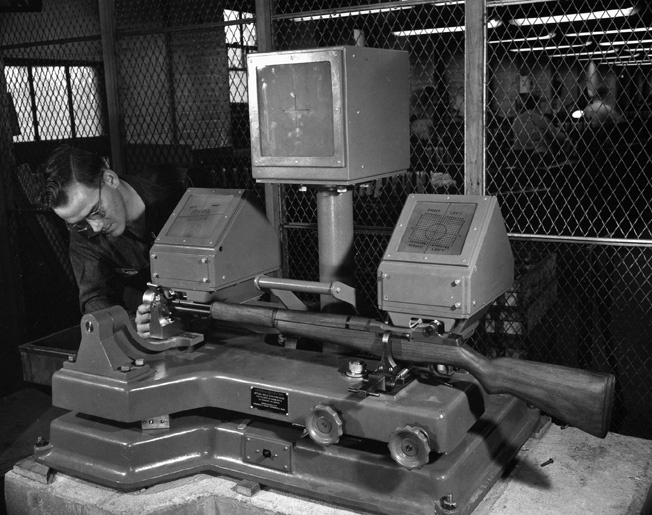 A factory worker uses mirrors rather than precious round and gunpowder to adjust the sights on this M-1 Garand rifle. When accurately sighted with no windage, a proficient marksman could hit a bull’s eye at a distance of 100 yards with the M-1. 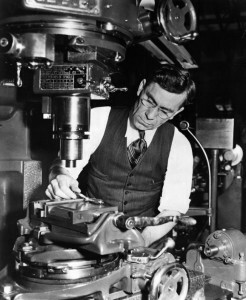 Working in his model shop in September 1940, a studious John C. Garand appears intent on resolving a design issue with one of his weapons. In July 1941, U.S. Army General C.M. 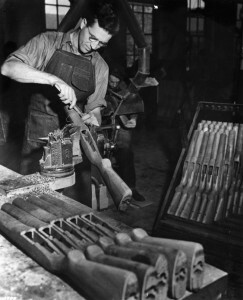 Wesson (right) visits an arms factory and observes the activities essential in production of the 1,000 M-1 Garand rifles per day. 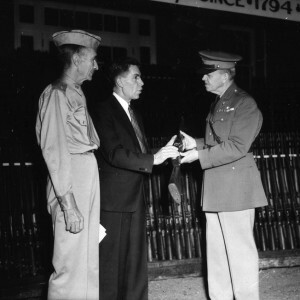 General Gilbert H. Stewart (left) accompanies Wesson. 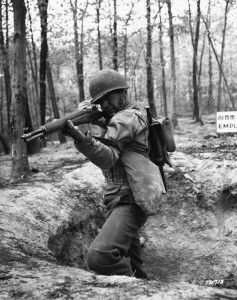 A U.S. soldier aims his M-1 Garand during training exercises. Michael D. Hull has written extensively on World War II and resides in Enfield, Connecticut. Tags Allies, Axis, Battle of Bataan, European Theater, General Douglas MacArthur, General George S. Patton, John C. Garand, M1 Carbine, M1 Garand, M1A1 Carbine, Pacific Theater.